You must be concerned about your system security, if you are running ADF runtime based on ADF 11.1.2.1.0 - 11.1.2.4.0 versions. These versions are using JSF 2.0, with known security vulnerability - Two Path Traversal Defects in Oracle's JSF2 Implementation. 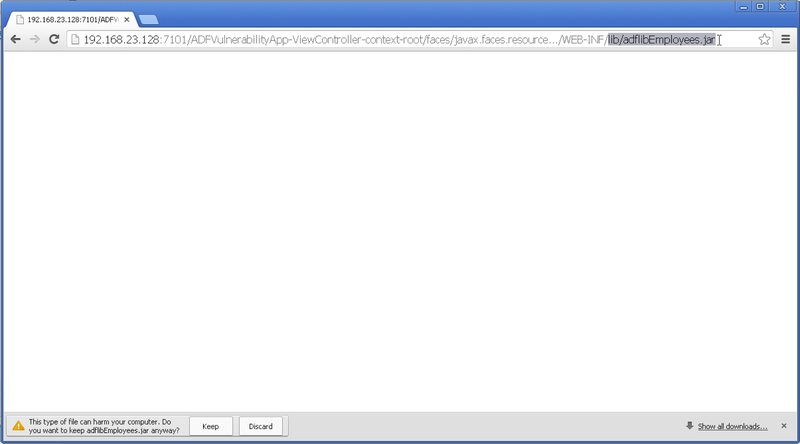 This vulnerability allows to download full content of WEB-INF through any browser URL. 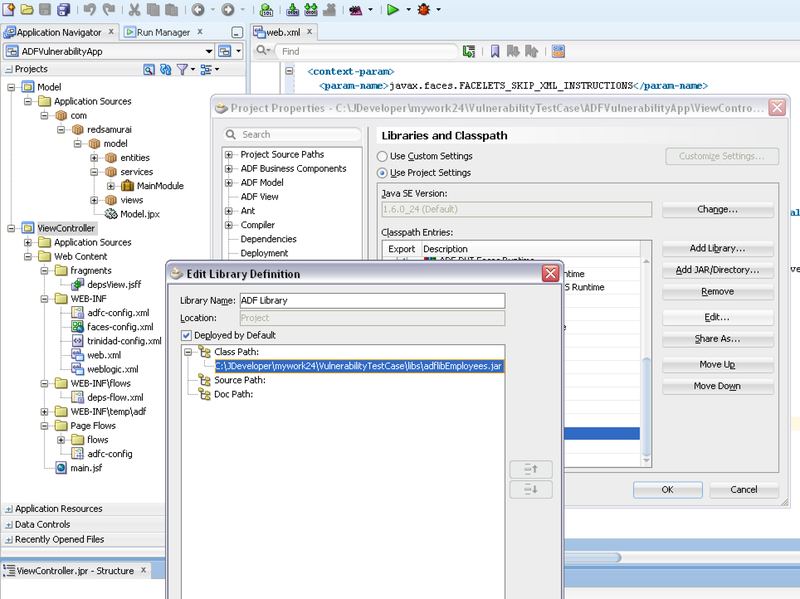 There is a fix, but this fix is not applied by JDeveloper IDE automatically, when creating new ADF application. 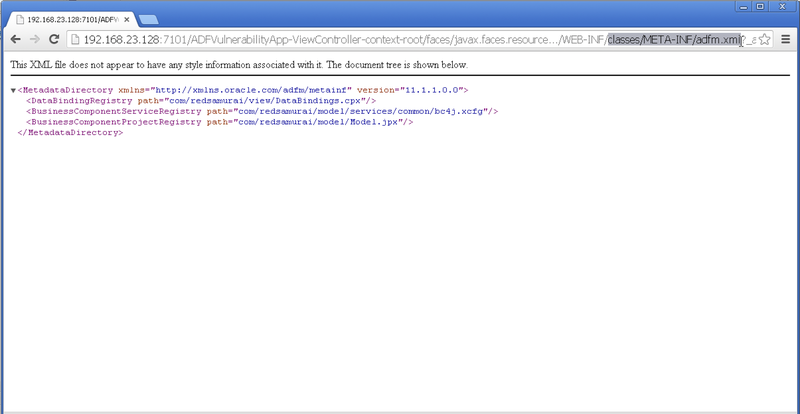 To prevent WEB-INF content download, you must set javax.faces.RESOURCE_EXCLUDES parameter in web.xml - make sure to provide all file extensions, you want to prevent to be accessible through URL. Thanks for sharing ! I'm not sure, but I think this issue is known by Oracle as CVE-2013-3827 and a fix is included in CPU (critical patch update) of October 2013. Please check with Oracle to confirm this. 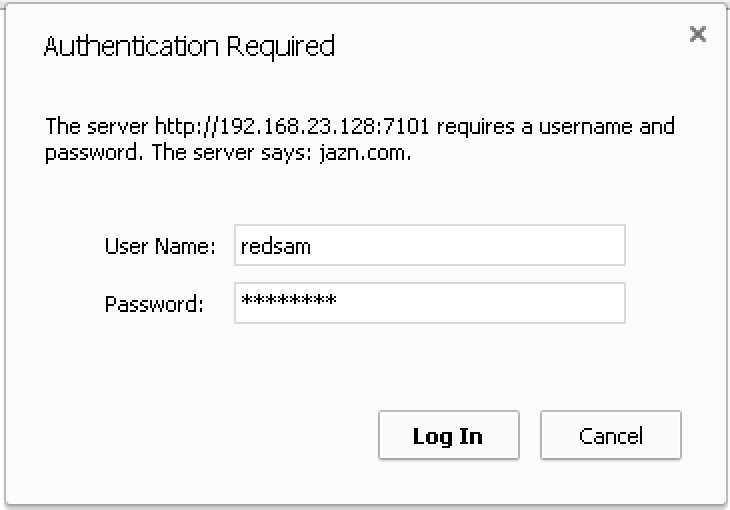 Goal of this post is to inform ADF users about the issue - as it is reproduced in JDEV 11g R2 releases downloaded from OTN. I prefer to inform community. If Oracle could confirm patch number, follow up on this post is welcome. 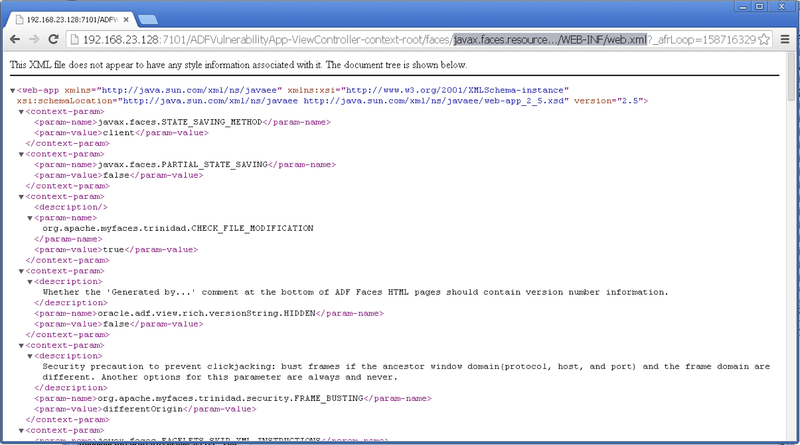 In the next post - I will describe another security issue, reproduced in 12c and 11g R2, related to Facelets. 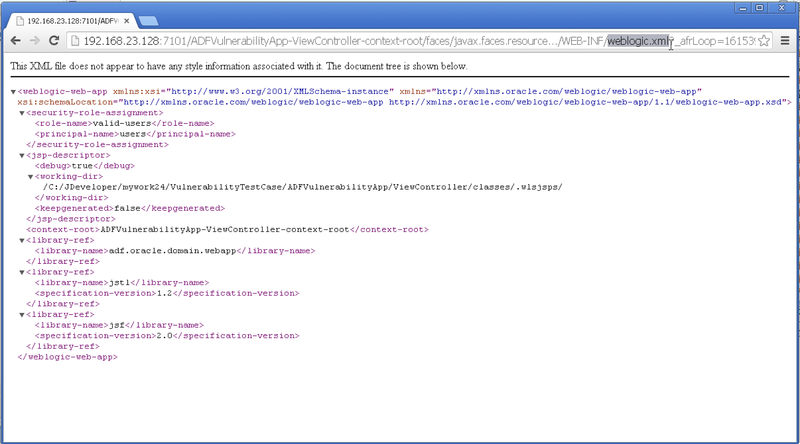 I installed the SU Patch FCX7 to upgrade my WLS to 10.3.6.0.7 but unfortunately this doesn't solve the security issue. I still need the web.xml context parameters. So it seems the issue is not fixed in the latest SU Patch. May be you need to apply a patch from October 2013 also, as latest patch may not include all the fixes from previous patches. After re-reading the documentation of the Critcial Patch Update (Doc ID 1571391.1), I noticed that I only applied the Oracle WLS Patch and not the Oracle JDeveloper patch. 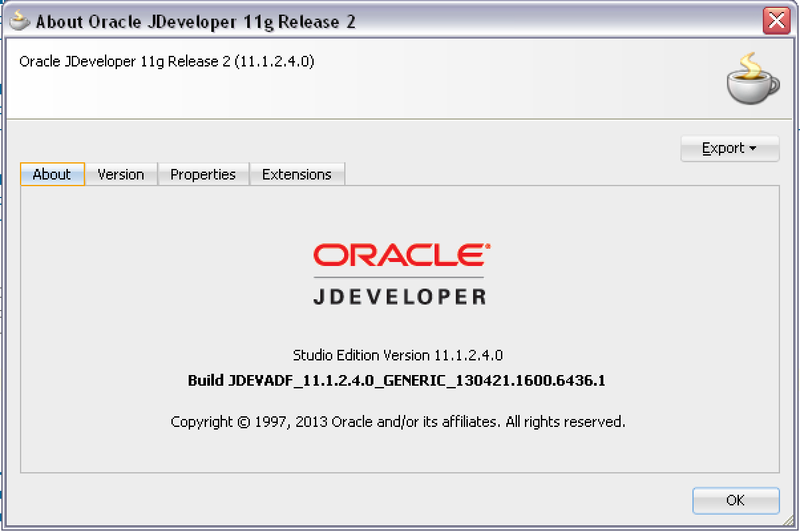 For ADF 11.1.2.4.0 you have to install patch #17308379. 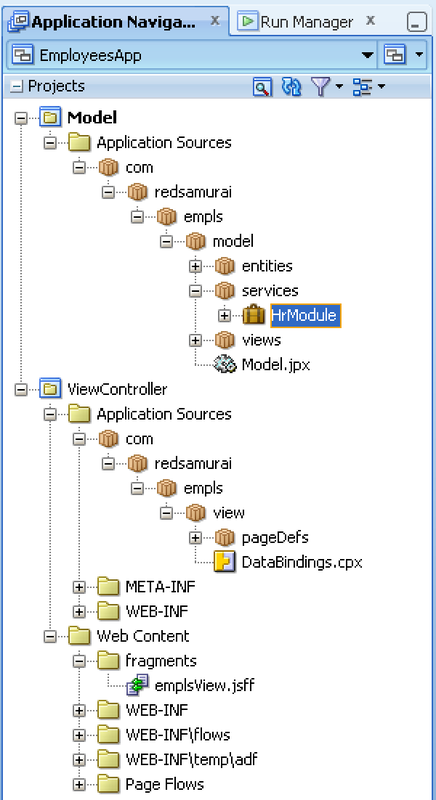 Once this path is applied the content of the WEB-INF folder is no longer displayed. 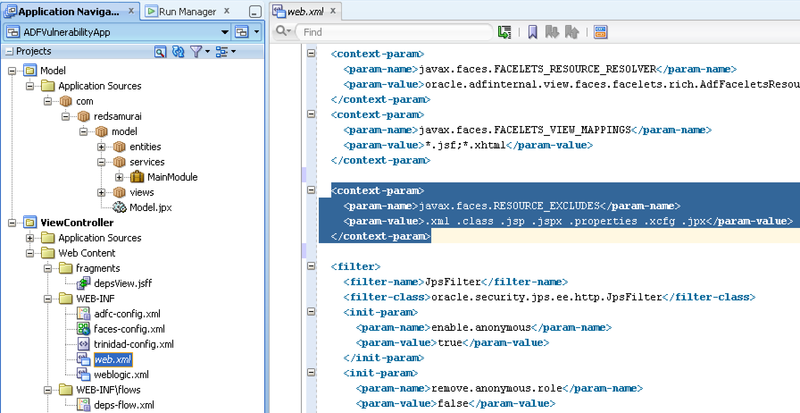 Their is no need to set the web.xml context parameter javax.faces.RESOURCE_EXCLUDES. Perfect. Thanks for sharing. All other users will be informed.